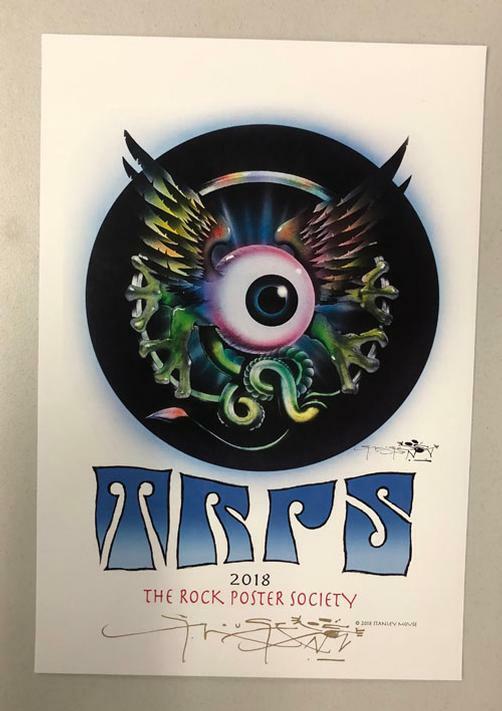 Original poster for TRPS in San Francisco, CA in 2018. Hand--Signed by the artist Stanley Mouse. 13 x 19 inches.